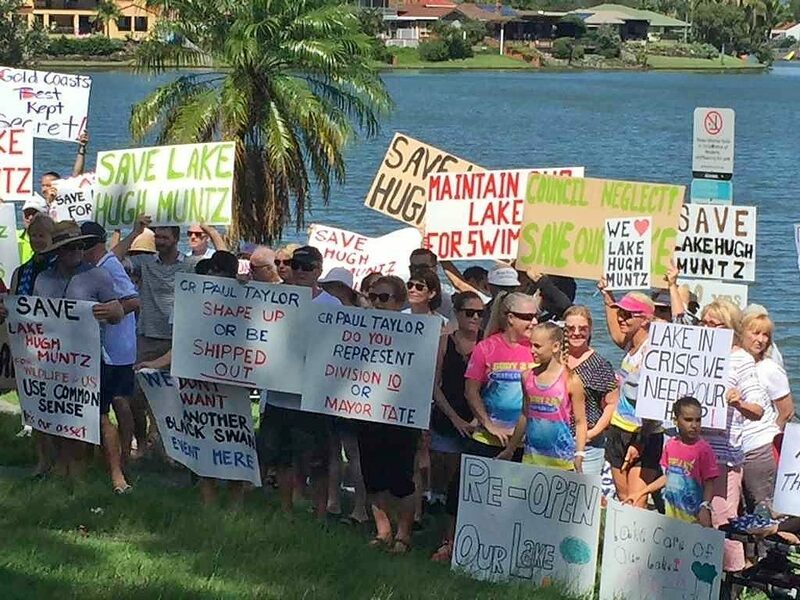 The decision by Council not to allocate any funds to LHM as well as the downgrading of the lake to Secondary (no- Swimming) contact has residents and user groups up in arms! With the lack of communication from Council and the continued decline of water quality it is only a matter of time before the lake is closed Permanently! 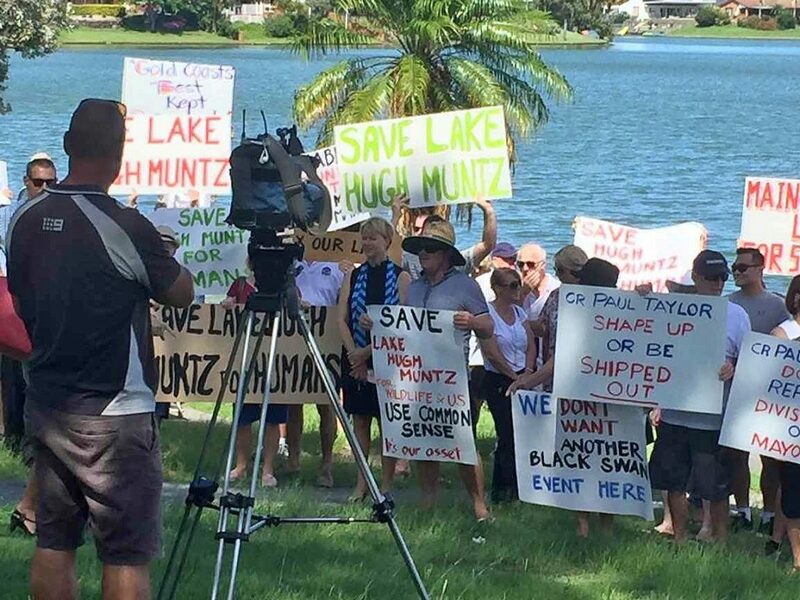 Out of desperation, concerned residents have organised a protest and invited Channel 9 to film the event. 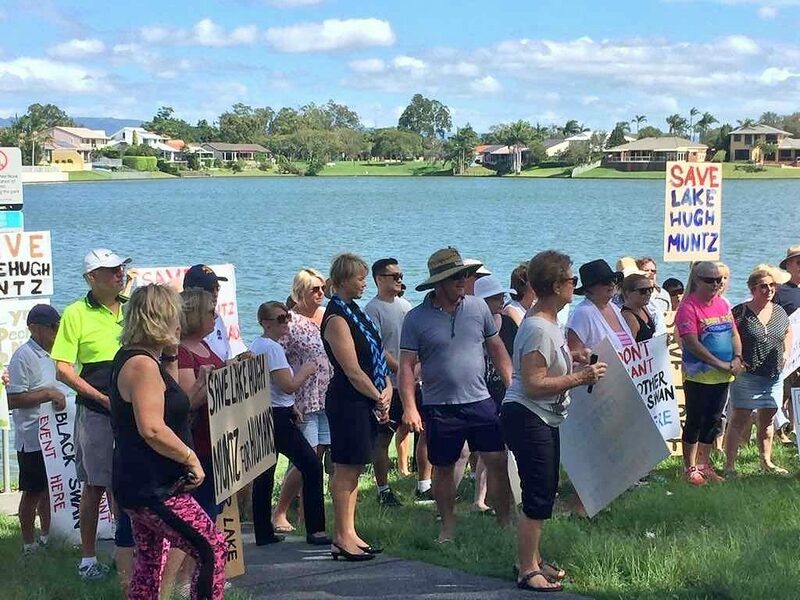 Despite only 1 days notice, over one hundred residents and user group representatives descended on Bel-air park to have their very angry voices heard. The story should be live to air this Friday the 16th March on the 4 pm and the 530 pm news but check the program guide to confirm. You will also be able to access the story on Channel 9’s facebook page.